An eye test can be a routine screening for any ocular problems or can be tailored to meet your individual needs. It can take anywhere from 20mins to 40mins depending on what tests are required. Every year 12.5 million people who need to, do not have a regular eye test (source: RNIB). Many causes of sight loss are preventable if they are caught early an regular eye tests are the best way to do this. At the start of the examination, your optometrist will ask why you are having your eyes examined, whether it is a routine check-up or if you have you come for a specific reason. If you are experiencing problems with your eyes or vision your practitioner will need to know what symptoms you have, how long you have had them and whether any changes have happened suddenly or slowly over a period of time. Your optometrist will also need to know about your general health including any medication you are taking, whether you suffer from headaches, or have any close relatives with a history of eye problems. You will be asked about your previous spectacles or contact lenses. Additional information, which will help your practitioner to make an accurate assessment, may include your occupation, whether you play sports or have any hobbies. 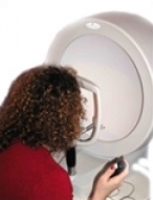 Your eyes will be examined both externally and internally using a slit lamp biomicroscope. This will allow the health of your eyes to be assessed and may identify any underlying medical problems. The interior of your eye will be examined by focusing a light through the pupil to obtain a detailed study of the internal structures. Your pupil reflexes will also be tested. 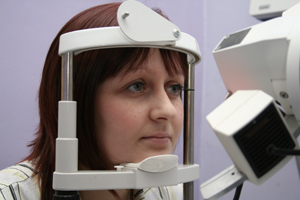 Other tests could be carried out if deemed necessary, for example tests for glaucoma or colour vision deficiency. If you are over 40, the College of Optometrists recommends you should be checked to make sure you are not developing glaucoma. If you do have glaucoma you will not normally notice until some sight has already been lost. Checking for glaucoma involves a combination of two or three of the following three tests: looking inside your eye; measuring the pressure inside your eye (which may be done with a puff of air or after using drops to gently numb your eyes); and checking your visual fields to make sure you don’t have have any abnormal blind spots. 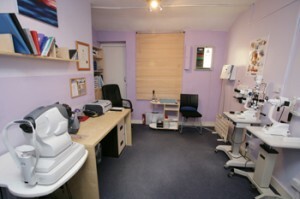 We also offer extra tests, such as photography of the interior and exterior of the eye. 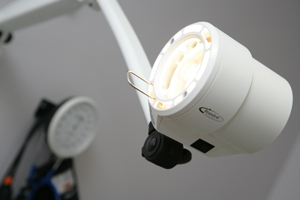 Extra tests are also needed for contact lens fitting and check-ups. Remember to take your spectacles or contact lenses with you when you attend for an eye examination. Your vision will be measured both with and without spectacles or lenses to check for any problems with your eyesight. The optometrist would normally assess your distance vision (for watching TV and driving), your near vision (for reading and close work) and your intermediate vision (for computer use). Your optometrist will then carry out a series of tests to determine the type and extent of any problem with your vision. You will then be asked to choose between different lenses to see which ones help the quality and clarity of your vision. We are constantly using more and more technology that allows us to improve our services and keep a closer check on your ocular health. 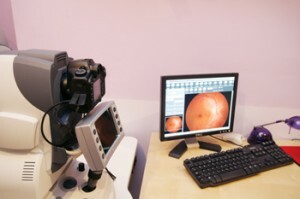 A retinal photograph is the most accurate way of seeing changes at the back of your eye between eye tests. The photograph is optional and costs £10. 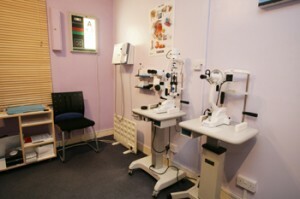 Your practitioner will now have a detailed knowledge of the health of your eyes, the standard of your vision and any special requirements that you may have. This information will be explained to you. You will also have the opportunity to discuss the best form of vision correction to suit your individual lifestyle and visual needs. At the end of the examination you will be advised on the appropriate interval until your next examination and be handed a prescription for spectacles or contact lenses, or a statement which confirms that your eyes don’t need correction. If you need medical treatment for an eye condition you may be referred to your doctor or hospital. 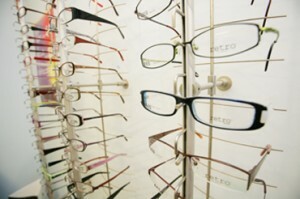 When you have your prescription made up, you will be given help in choosing spectacles or contact lenses. If you choose contact lenses you will be given advice on the various types of lenses available, the procedures for fitting lenses and further information about caring for and cleaning your lenses. As part of continuing care and service we will be happy to adjust or make minor repairs to your spectacles where possible. We will send you a reminder when your next appointment is due. Remember that if you have a problem with your vision or your eyes before your next eye examination is due there is no need to wait – contact the practice and make an appointment for a check-up. A full eye test costs £30. Some people are entitled to a free eye test through the NHS. To check your eligibility for an NHS Sight Test click here. If you, or a person whom you care for has a disability and would like further information on our specialist frames and services, please click here.